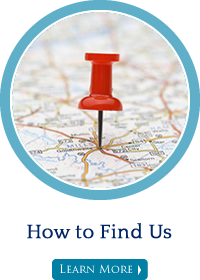 For over a decade, Tallapoosa chiropractor, Dr. Angela Richards has been helping Tallapoosa and the surrounding communities live better lives. The path to a healthier you begins here. We focus on providing you state-of-the-art technology such as Impulse computerized adjusting techniques. We compliment your chiropractic care with additional therapies and services such as physical therapy, personal training and custom orthotics and more. We’ll work to treat the underlying cause of your health complaint. We’ll use chiropractic care to begin the healing process and the additional therapies to take your healing to a higher level. Want to get off of your medications? We’ll work to help you achieve a healthy, natural, drug-free life! 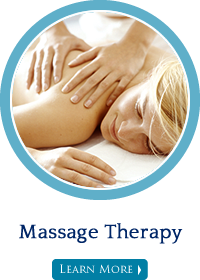 Our goal is to help you find relief and then stay out of pain, living a life of wellness. Together as a team, we’ll work towards a healthier you. Haralson County and Cleburne County, AL. After 3 visits I have experienced a lot of improvement. Thanks! Very helpful, knowledgeable, excited to help me!! I was really impressed with the layout and decor of the office. The space is very attractive and inviting. The office had a homey feeling while maintaining a very clean environment. Their an amazing group of people and I advise everyone if they have any type of back problems that this place would be their best place to come to. It was awesome overall. Very good to my family. Everyone was very nice and made me feel welcome! Outstanding Therapy! Very knowledgeable Dr! Awesome! Dr. Richards explained my shoulder problem and greatly relieved it on the very first visit! I appreciated all the informational conversation during therapy too. 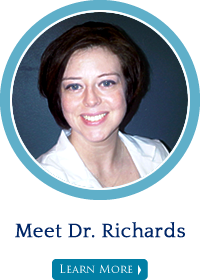 Dr Richards listen to me and knew that I was nervous and she took her time and fixed things that I didn’t except! She made a believer out of me! I didn’t want my neck touched and she didn’t. I have appointment today and I’m gonna see if she will pop my neck today and get rid of this tension that I have in my neck! She has a wonderful Dr! I enjoyed my first visit and looking forward to more. Good equipment, cleanliness, professional and friendly staff! I look forward to continue a process of improvement. Dr. Richard’s is totally awesome! She truly cares about her patient’s and their well being. She is more than a chiropractor, she is a friend, she is family and most importantly she is a true blessing! Thanks, I feel better today, no pain! I am sure I will see you again. So very thankful for being able to get in so quickly on short notice. Friendly staff and super clean office/therapy area. Looking forward to a healthier new year! Great first experience in the facility. The staff was extremely friendly, professional, and great at taking care of their assigned responsibilities. Experienced improvement after this very first visit which is encouraging. Everyone at Advanced Chiropractic was extremely helpful and courteous. After two visit Dr. Richards was able to resolve my problem and I look forward to a long relationship with this office. A pleasant experience all around, thank you. Everyone was personable but still professional, love the doggies being there, we wanted to talk to them so badly. Great experience – everyone is so helpful and welcoming. Everyone was so helpful and friendly upon my arrival and continuing throughout my visit. I was very impressed by the up to date technology and the variety of treatment methods the Dr. Richard’s practice has to offer.